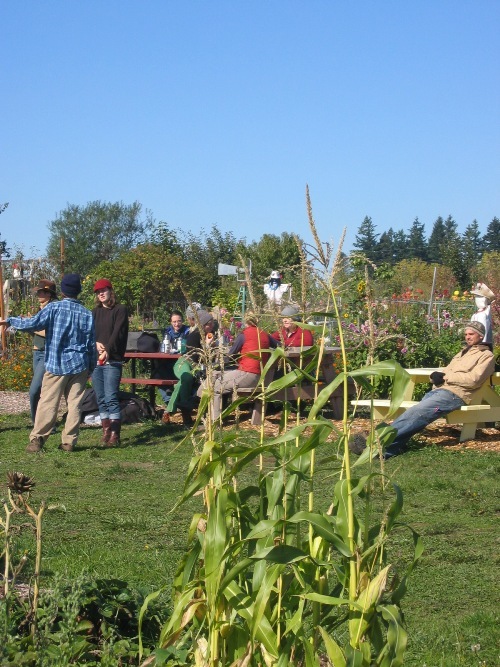 I wrote a story for the hot-off-the-presses spring Edible Portland all about this fall's first-of-its-kind Organic Gardening Certification Program -- or OGCP -- in Portland. I learned heaps, have already applied a lot of what I learned to my home edible garden, and want to share some more local gardening class options for Portlanders that I just learned about. 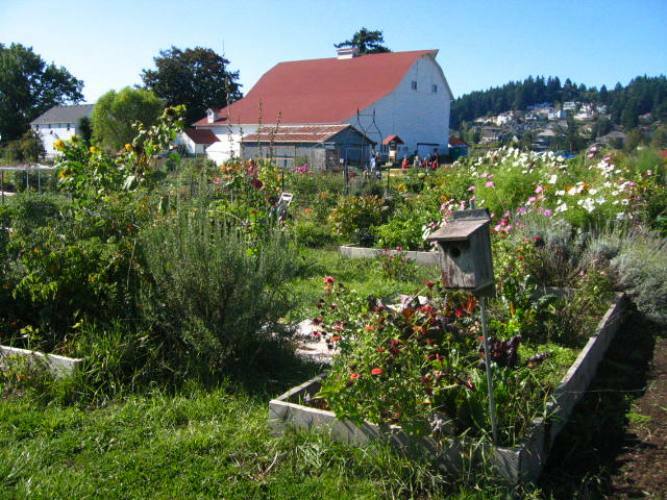 Kathy Dang of Oregon Tilth, whom I wrote about in the piece, sent word of OT's monthly veggie growing classes as well as their upcoming comprehensive organic gardener program. If these classes offer even a snippet of what the Oregon Tilth folks served up for OGCP then they'll be well worth the 20-plus dollars they cost. 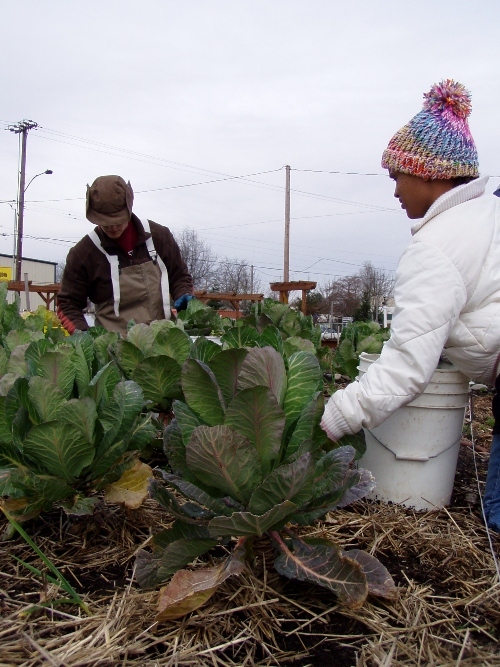 Weston Miller, OSU Extension Agent and OGCP co-organizer sums up the two programs like this: "The Master Gardener Program, typically offered during the winter, is a classroom-based program. For the organic program we had a sliver of growing season left that provided more opportunities for demonstrations and hands-on type learning opportunities." He adds, "We based OGCP out of active gardening sites, because our goal was to make it as hands-on as possible." Our days progress with garden activities such as planting garlic and cover crops and preparing sheet mulch, as well as classroom sessions on everything from plant taxonomy and physiology to soil testing and interpretation. Every Saturday we break at noon for lunch. Lunch is a lesson all its own. I make my way to a garden picnic table at noon on the first Saturday where several other participants are unwrapping sandwiches, opening thermoses of steaming soups, noodles and teas. On the table: African peanut stew, sauteed vegetables and tempeh, buckwheat noodles, and a veggie-loaded red curry. The edible aspect of gardening is obviously not just an aside for these folks. Roasters: Burlap sacks from local coffee roasters make an excellent re-usable mulch for overwintered garden beds and year-round sheet mulching. Spent coffee grounds from coffeeshops are a good -- and not too acidic -- top dressing and compost amendment. Barely used: Portland Nursery gets rid of used pots and planting trays on a regular basis and customers are welcome to pick them up at both locations for free. Beware of horsetails: Although beautiful and eye-catching -- horsetails (those thin bamboo looking plants that populate much of the Oregon Coast) are tenacious, spread quickly and are a home garden nightmare. The problem with walnut trees: Most of them produce a growth-inhibitive chemical that is detrimental to many plants. So avoid walnut leaves for leaf mulch and compost, and steer clear of walnut bark and wood chips in areas you want affected plants to grow.